Hire Freelancers, Buy digital Items or Start a Blog with Personal CV website. 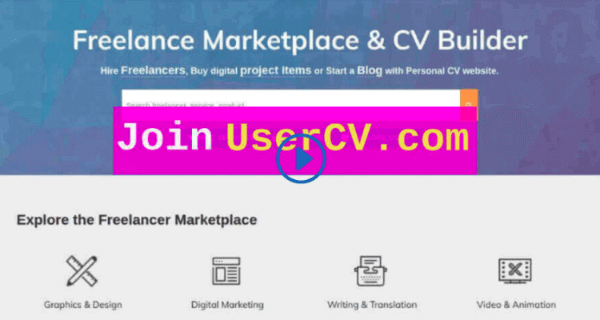 Freelancers and entrepreneurs use usercv.com to grow their audience and get more clients. 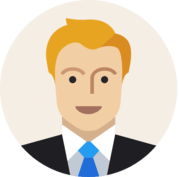 Ready to build Personal CV Website? Create your own Personal CV-Resume website & share Skills, Blog, Contact details or sell your Services & Items. Present who you are and what you do in one link. 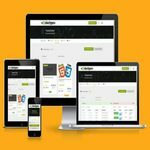 Search PHP Freelancer , Wordpress Freelancer , Android developer , E-commerce developer, SEO experts and more. Payment is released to the freelancer once you review & confirm the delivery of project. Project Management Tool for orders. Communicate with seller inside in-built Project & Order tracking management system built for every order or hiring. Feel like something not right? Contact our support team via chat, ticket, audio channels and get it resolved under 24 hours. EduSAAS Teachable clone is a Software as a Service-based multi-domain e-learning LMS platofm. 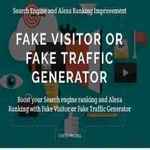 FakeVisitor is a server stress & load testing tool which sends millions of human like visitors. Udemy Clone LMS is an e-learning portal with Multi Teachers, QnA community & E-commerce option. 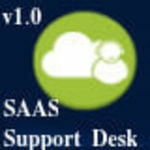 Create your multi-domain support desk ticket system like Zendesk with FAQ & Knowledgbase builder. You must be thinking why UserCV? or, What are my Benefits? or, Why should I use UserCV.com? Please read FAQ answer below. Personal Domain based FREE blogging platform. Marketplace to expose & getting hired for your listed Gigs/Service. Instant one click hiring for sellers in Freelancer marketplace. Order and Invoice management system between you and buyer. Store to Sell readymade digital items & receive money in Wallet. Guaranteed Delivery & Security of each hire & order. Funds to freelancer is not transferred until they deliver the job and you confirm. No Freelancer or Agency can cheat you or Scam you! In-built Order & Time Tracking system to track delivery date. Every order gets Project management system to track and share or receive update. Quality & Communication based review delivery for each order. Review based system makes freelancer or agency to provide high-quality service. How UserCV is different from Linkedin or other network? Other Network doesn’t offer Personal Domain based CV-Resume website. Personal custom-domain based profile website to be Proud of. UserCV.com provides online hiring portal to Hire Professional users with in-built Project & Order tracking system and Offers Custom Domain Free Personal CV-Resume website to professionals with blogging platform & digital store. Payment is released to the seller once you review & confirm the delivery of project.